So, here’s another FAE hack that I’m calling “Lords of Intrigue”. This is a bit of a stunt, and if you spot the gimmick, then it will be pretty obvious, but if you don’t, fear not, I’ll explain at the end. Another FAE hack. This one does not have a cunning name yet. The Fate Freeport Companion can be a bit of a help in this one. Arcane which covers the magic of wizards, but also scholarly understanding of the world. Commercial Trade and business, as well as most day to, non-adventurey interaction. Commerce’s penumbra is quite broad, and if there is no other applicable approach, then Commerce is probably correct. Pious Covers matter religious and clerical, but also matters of the heart. Swaying or understanding emotions fall under the auspices of piety, as does endurance. Sneaky covers matters covert, from stealth to theft, and also speed and agility. Violent as the name suggests, covers fighting (including sneaky fighting). it also encompasses strength. These are not fairly distributed approaches. The simple reality is that Arcane and Pious are less useful than the other three. This is intentional – Arcane & Pious are the gateway to magical abilities, which broaden them significantly. Players distribute the following array of bonuses: +3, +2, +2. +1, +0 among the 5 approaches. They also select aspects as normal – the Freeport guidelines may be useful in this regard as the expectation is that aspects will be along lines familiar to any D&D player. Stunts are allocated based on approaches. You may take 2 stunts from under your +3 approach and 1 from one of your +2 approaches. For Pious and Arcane stunts, look to Freeport (or some other magic system of your choice). Violent and Sneaky stunts are (hopefully) fairly self explanatory. Commercial stunts work a bit differently – each stunt represents a resource. The resource may either be something permanent (like an ally, a holding or a title) in which case the character gains a bonus aspect to reflect that. Alternately, it may simply take the form of liquid assets, and may be tapped for a +2 once per session any time money may lubricate matters (and like money, this bonus can stack). The expectation is that characters are agents of a mysterious patron in a fantasy city. 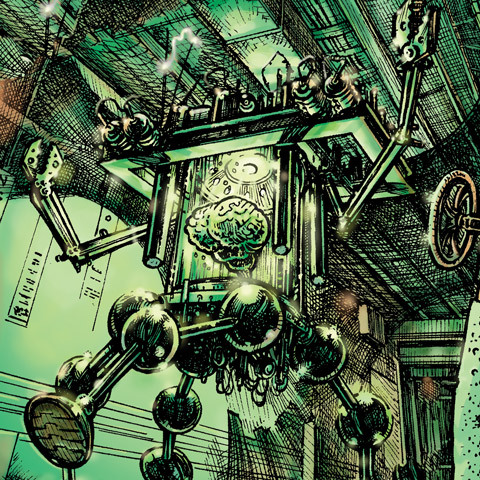 They will have some descriptive goal, like, say “Eliminate the Undead Coven” but they will also have a mechanical element of challenge to them. I don’t know about you, but once I’ve laid out those aspects, I’ve got most of what I need to make this a mission. The problem is, of course, that these things never go in a straight line. I have all the elements in place for the adventure, but I don’t want to just point the players at it. How do I handle the investigation element? When players go an engage one of these places, then you connect two aspects of the same type to give the players a clue. For example: a conversatiosn with Olivia (W) might reveal that she saw a Gladiator get killed and get up again (The grave cannot Hold us) and she can tell the players where to find out more. This may not be enough to crack open the case immediately, but it should be enough to get things started. If the players then engage some other aspects (perhaps some P and T) then they should be able to put together a full picture. As a rule of thumb, if the players visit places with enough occupant aspects to total up to the opposition aspects, then they should have enough to bring matters to a head. Should push things over the top. There is no obligation to make players go through all the hoops, rather, as they go through more hoops, you should be making things more and more obvious. Also bear in mind that players will hit occasional dead ends. If they had cone to The Magical Academy(W) or The Grand Bazaar(RRRR) then it might have been a fun scenebut it would not get them any closer to the Undead coven. Anyway, this is still rough around the edges, but I think it’s a fun start. This entry was posted in Uncategorized and tagged Fate, Hacks on December 17, 2013 by Rob Donoghue. Using the 13th Age model, you then have players working for, against, or reluctantly with various Lords. And as their agendas as satisfied, they grow in power… but are you ever really sure who you’re really working for? This looks great for building scenarios, but how would the game play actually work? What do you need to do to mechanically complete the quests? It would be entirely possible to say that each aspect of a quest must be “resolved” in order to complete the quest. There would be some mechanical comfort in that, but I don’t actually enjoy solutions like that very much – I favor tidy creation and sloppy resolution over the reverse. If the system can create an interesting enough problem (and every quest is, implicitly, a problem to resolve) and can give tools to steer play towards it, I want the actual resolution to be a function of play. This is an awesome idea. 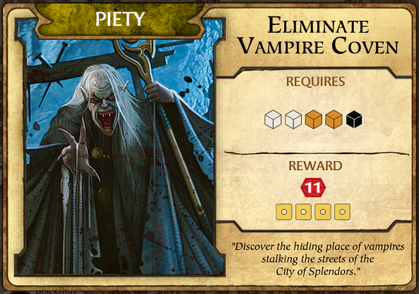 We looooovvveeee Lords of Waterdeep as a boardgame so this is very attractive as a campaign concept. Also makes me want to look at other board games for similar ideas. Fantasy Flight’s Elder Sign would be great for a similar treatment. Great idea. Just played using FAE rules and Freeport Character creation. made it super easy to wing an adventure. Main quest was domesticating Owlbears (for the palace) which also ended up doing a ‘help the house of wonder’ quest.